If you need international shipping, or if you prefer to pay by check or by credit card over the phone, please email orders (@) bethanyreynolds.com. Instructions included for this 48" x 54" "Bow Tie Fans" quilt. 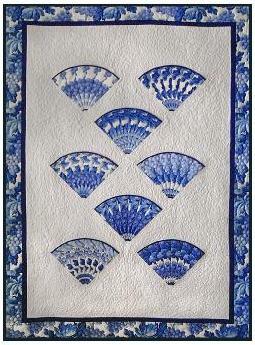 Use for 20-Wedge Circle and Dresden Plate designs too! Try it for Stack-n-Whack® fan and circle designs, as well as for scrap fans and other variations. Illustrations show strip cutting, scrap, and selective cutting methods, plus instructions for finishing the fan blocks with folded points and quarter-circle bases. Instructions included for this 48" x 65" throw quilt . Use this ruler to cut 15 degree fan wedges for 5" to 12" six-blade fans blocks. 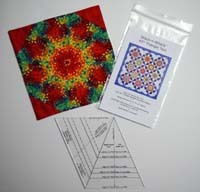 Try it for Stack-n-Whack® kaleidoscope fans, as well as for scrap fans and other variations. 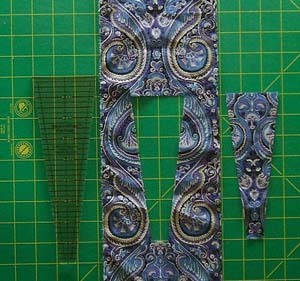 Illustrations show strip cutting, scrap, and selective cutting methods, plus instructions for finishing the fan blocks with fabric trim and simple straight-stitch appliqué. Use this template set to make fabric circles and fan bases with smooth, crisp curved edges. The stencil portion of the template makes it easy to choose the correct size for your project and preview the finished circle- great for selectively cutting novelty prints! 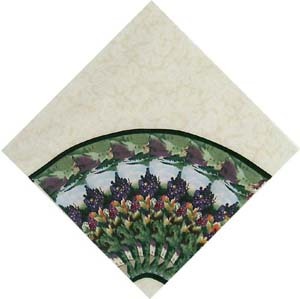 Includes 2", 2 1/2", 3", and 3 1/2" sizes to fit most fan, Dresden Plate, and other wedge design projects. 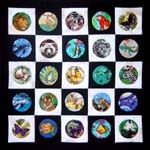 "Through the Spyglass" Quilt Pattern included! 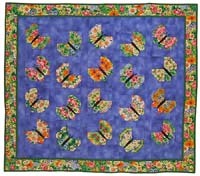 Instructions for this Trellis Garden quilt are included. 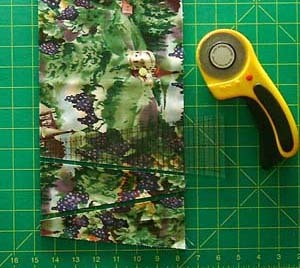 Easily cuts half-wedges for Butterflies, too! This tool cuts wedge-shaped triangles that have a 45° angle at the tip, and 67 1/2° angles at the two wide corners. This versatile triangle is difficult to cut with a standard ruler, but you can cut it quickly and accurately with the 45 Degree Triangle Tool! 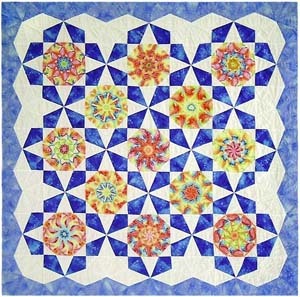 Try it for scrap quilts and traditional designs like the Maltese Cross, as well as for Stack-n-Whack® projects like the Diamond Ring quilts, Butterflies, Meadow Flowers, Roundabout Stars, and more! Click here for a photo tutorial on the Triangle Tool. The complete set for the serious Stack-n-Whack fan! Learn the secrets of working with fabrics with repeats and create astounding kaleidoscopic designs. Work alongside Bethany to create your own Emerging Stars or Zippy Strippy quilt. 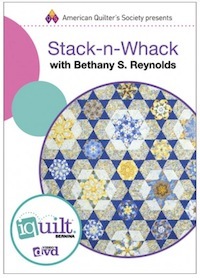 This DVD version of Bethany's iquilt class is the perfect solution for taking the class without the need for a broadband internet connection while you sew. Includes patterns to print. Run time 147 minutes. To order the DVD, use our online order form. We recommend the 45 Degree Triangle Tool for easy cutting of this design.